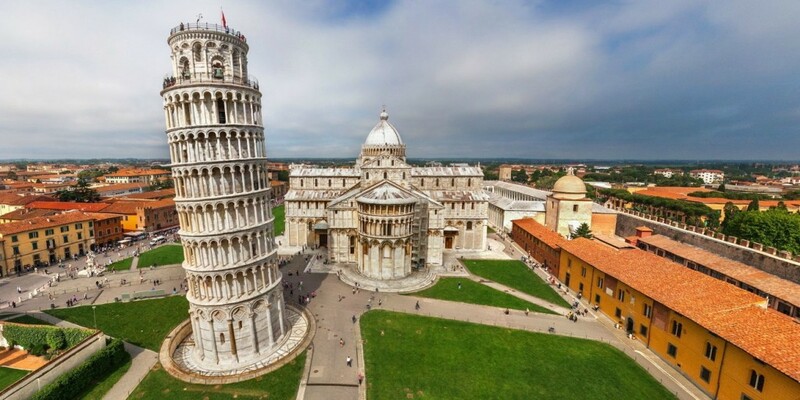 We will give you the best Pisa day tour you could ever ask for. We not only guarantee comfort and relaxation in our air-conditioned minivans. Siena, located in the middle of Tuscany, if your accommodation is in Valdorcia, Crete senesi or in Siena, you can join us on a wonderful full-day trip visiting the town of Pisa ( with possible extension to Lucca if you prefer ). Our suggestion: The morning in Pisa.. The pick-up is at 9 am at you accomodation. We should reach Pisa by 10.30 am, so you have all the time that you need to visit the center of the town and have lunch in a local trattoria ! Most famous for its Leaning Tower, Pisa is one of the most visited cities in all of Tuscany. It is also home to one of the most beautiful monumental complexes anywhere in the world, the Piazza dei Miracoli. The town enjoyed a period of prosperity in the 12th century, signified by the shape of the town centre, which is built along the shape of the river Arno—the main communication route during that period. One of our licensed driver will direct you through the Cathedral and around the exteriors of the Leaning Tower and the Monumental Cemetery. You will also have plenty of free time to take pictures and wander around the square on your Pisa day Tour from Siena. …and the afternoon in Siena! In the early afternoon, going back from Pisa to Siena , we can stop for a wine tasting in a Chianti winery. You will devour finger licking Tuscan cuisine, and acquire a wealth of knowledge on all matters wine and winemaking procedures. Your wine tasting experience will come with olives, olive oil bruschettas, and a range of Tuscan cheese. During the afternoon, take all the time that you need to visit Siena, home of the famous Palio Horse Race. In addition to the palazzos, piazzas, and monuments, we will also see Piazza del Duomo and Piazza del Campo, where the horse race is held. We complete the evening with a light dinner at sunset in the Piazzo del Campo. With tables reserved under the Torre del Mangia, we will enjoy some traditional Italian pizza and ice cream. Shall we continue for an aperitivo .. ? At the end of your Pisa day tour from Siena, we can take you for an aperitivo in a particular place in Siena downtown, on our way back to your accommodation, this is the part of the tour that our passengers like most!